It's time to get your groove on to the tripped-out jam-rock stylings of Dead & Company! 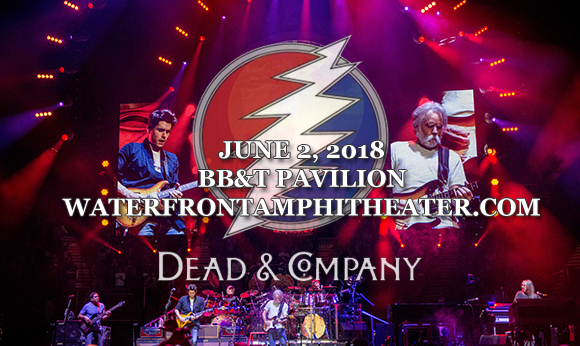 Headed to BB&T Pavilion on Saturday 2nd June 2018 for the second in a two-night-stand, the founding fathers of the jam band (with Grammy Award-winning singer-songwriter and guitarist John Mayer standing in for Jerry Garcia) are breathing new life into the songs of the 'Dead, bringing a new flavor to their sprawling improv classics! A must-see show, tickets are now available!